Friday, May 28, 2010, I decided to fly over to Ekuk, Alaska after landing at Clarks Point. 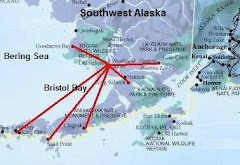 Ekuk (airport code KKU) is located about a mile down the coast from Clarks Point. It is 13 miles Southeast of Dillingham across the mouth of the Nushagak River. It was a beautiful day and one lone fishing processor sat in the bay awaiting some action from Ekuk and Clarks Point. There is a rather dangerous ridge that separates the Clarks Point runway and the Ekuk Runway. While taking off runway 18 at Clarks Point one has to climb over a 100 foot ridge that blocks the view of the Ekuk Runway. If a plane is taking of runway 01 at Ekuk, at the same time a plane is taking off runway 18 at Clarks Point, they could collide as they clear the ridge. There have been several near misses reported by a few of my pilot friends. The runway at Ekuk (runway 01 and 19) is very narrow and soft in places (1200 foot long and 40 feet wide). It looks narrower from the air. Using caution after departing runway 18 from Clarks Point I gained as much altitude as possible to see over the ridge to Ekuk. Before I cranked the engine I did not hear any airplanes in the area nor did I hear any chatter on the radio while I taxied out, so felt safe flying over the ridge. Final Approach to Runway 19, Ekuk, Alaska. Visible looking Northwest is the Ekuk runway 01/19 and the village of Ekuk (middle of the picture). The next point up is Clarks Point. Not visible, just over the ridge is the Clarks Point runway 36/18. Here is a picture of the 40 foot wide runway looking Southeast. 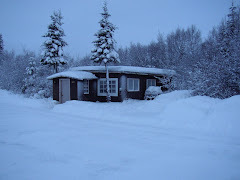 The small fishing village is closed during the winter. Fisherman from all around Bristol Bay set up fish camp near the end of May. 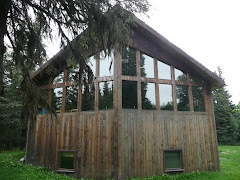 Several Parishioners from Holy Rosary Parish in Dillingham are already making plans for their two month excursion to Ekuk. Around the middle of June the small village "comes alive." 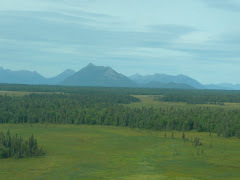 Ekuk, Alaska is shown here flying in from the West. I was just over Clarks Point when I took the shot. There is also an old cannery at Ekuk that is still being used when the fish run begins. The cannery is just to the West of the runway. On the Ekuk runway there is not a lot of room to turn around. I consulted John Bouker, Jerry Ball, Mat Vandeventer, and several other seasoned bush pilots about the runway before actually landing there. There seems to be a certain place to touchdown and a certain place to turn around. Even so, the first time I landed there I got stuck in soft sand. The tires on my Cherokee Warrior II are standard size and do not do well on soft runways. Here is a picture of the wider North end of the runway where a small plane can turn around without having to get out and tow the plane. If one does get stuck, it is always nice to have a ground crew available to help push you out. Below is a picture I took last year after getting stuck in the soft sand. Shown are a few Summertime Ekuk teenagers who helped push my Cherokee Warrior II back 25 yards or so towards the beginning of the runway so I could take off on the short and soft runway 19. I will be checking back with Ekuk in a couple of weeks to offer Mass and maybe bless a few fishing camps. 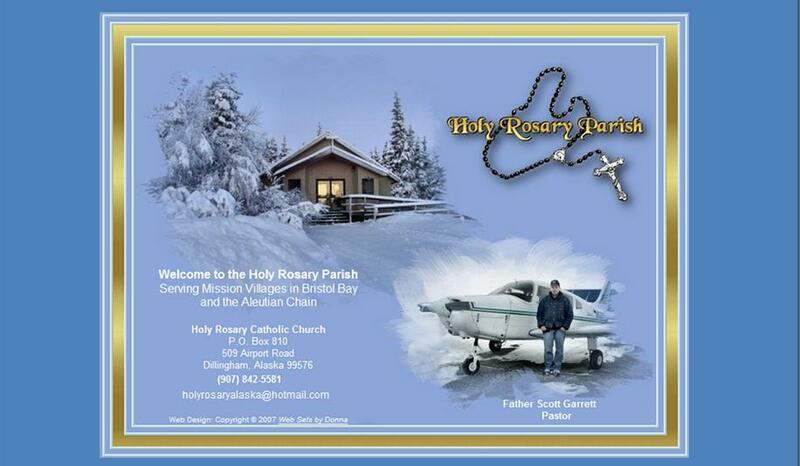 As a priest who flys to remote Alaskan Villages in the largest Catholic Mission in the world, geographically that is, here is what a typical day might look like. Today is Wednesday, May 12th, 2010. Getting up at 4:10 AM everyday allows for some quiet time to exercise, pray, and map out the day. 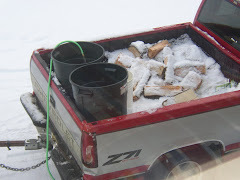 By 7:00 AM I am ready to pull on my paint cloths and head across the parking lot to the church. First I boot up the computer and pay a few bills on-line through Wells Fargo Bill pay. Then I enter some receipts into Microsoft Money, answer my email, and head out the door. Next I call the aviation weather at Kenai and get a weather briefing and file a flight plan for Clarks Point. It goes something like this: Tail number Cherokee N81809; type plane P28A; Departure time 11:00 AM; Route of flight, Dillingham, Clarks Point, Dillingham; Master Flight Plan on File with Kenai; three and a half hours in route (30 minute flight there and back, three hours on the ground); five hours of fuel on board; one person on board (me). I paint for about two hours. Below it shows that I painted the deck and entry way. Some parishioners patched up the bottom right front of the church with some wood siding. I then walk back to the rectory, put on my clerics, and drive our 1995 Ford Pick-up the short distance to our Cherokee Warrior II, which is parked at the Dillingham Airport behind the DOT building. While perfoming the preflight inspection I pay particular attention to a new and larger nose wheel that I had the A&P Mechanic, Dave of Tucker Aviation, install the day before. I bought the tire from Mat at VanAir, who just purchased a new Cherokee Six, changed out his tires to bigger ones, and sold me the one he took off. It lifted the prop of our Warrior II off the ground an additional four inches. This will prevent fewer rocks from nicking the propeller when landing on gravel strips and add to the over-all life of the propeller. The old wheel that was taken off was a 500-5, which was a few inches smaller than the 600-5 I had installed. Now, all three tires are the same size. Below is a picture of the smaller nose tire we took off. After completing a thorough preflight I am in the air right on schedule. I land at Clarks Point, where the village has invited me to a special End of the School Year celebration at the Clarks Point School. I was picked up by Tom on his four-wheeler and taken up to the school. After a nice potluck, I set up for Mass, villagers gather, and they sit in the bleachers in the gymnasium. Quite a mix of religions show up: Russian Orthodox, Moravian, Mormon, Catholic. Below, Betty Gardiner stands and reads the First Reading. I get a glimpse of the baby girl I will be baptizing in a few weeks. This is Justine’s second child, I baptized little Alex a couple of years ago. After the Mass in the gym, I take communion to one of the elders in the village, Louise Gardener. Next I check out the church, Saint Peter the Fisherman. 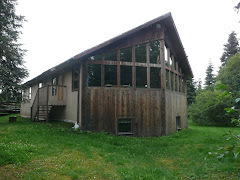 Judy George and Mariano Floresta had just cleaned it up, dusted, patched up some windows, swept the floor, and installed a wood stove. The Church has not been used all winter because there is no heat. I usually offer mass in a house during the winter. 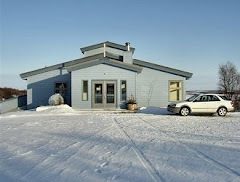 With the new wood stove installed, maybe we will be able to use Saint Peter in the winter! Next week we will definately be celebrating Mass in the chruch. Finally, I walk back to the airplane, which is parked about a mile and a half from the center of the village of Clarks Point. I fly the short 12 miles across the bay back to Dillingham, close my flight plan, re-fuel, tie the Cherokee down, un-load my mass kit, and head back to the Rectory. After fielding a few phone calls and talking with our handy man Pat Durbin, I drive to the post office, deposit some donations at the Wells Fargo Bank, go to the grocery store, and return home. I make a small dinner, read for a couple hours, and am in Bed by 8:00 PM. 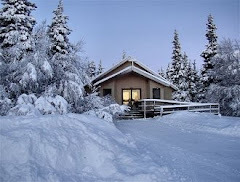 I am ready for another Great Alaskan Adventure! I flew our Cherokee Warrior II from Dillingham to the very first Quinceanera in the history of Holy Rosary Mission. 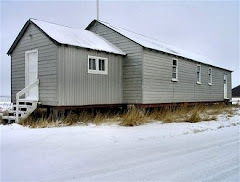 It was celebrated 64 air miles to the East of Dillingham at Saint Theresa Parish. 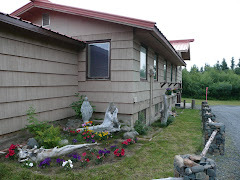 Saint Theresa supports the communities of King Salmon and Naknek, Alaska. the celebration took place Friday, May 7th, 2010 at 5:00 PM. The young woman celebrating her transition from childhood to adolescence was Veronica, who turned 15 years of age the 5th of May (Cinco de Mayo). CLICK ON ALL PICTURES TO MAKE THEM LARGER. After months of preparation, including special dance practices, organizing a dinner for 300 people, sending out invitations, and decorating the Naknek High School Gym and Saint Theresa Parish, Rohelio, Veronica’s father, was ready to celebrate. Rohelio and his family are the only Mexican family living in Naknek or King Salmon. So this was a very special event that was witnessed for the very first time by several Alaskan Natives and Caucasian families. Godparents and friends traveled from all over to be at this sacred celebration. 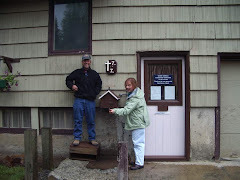 Together the two communities of King Salmon and Naknek share one Catholic Church, Saint Theresa. The total population of both King Salmon and Naknek combined is not over 1000 people. Rohelio’s dream of celebrating a Quinceanera was coming true and his determination motivated over 100 Catholic, Greek Orthodox, Russian Orthodox, and protestants to crowd into Saint Theresa on Friday afternoon, May 7th. It was the largest gathering of people I have seen at Saint Theresa in the five years I have been pastor. According to “The Order of the Blessing on the Fifteenth Birthday,” there are among several Spanish speaking countries and many Hispanics in the United States that have a custom of celebrating the passage from childhood to adolescence with a ritual that expresses thanksgiving to God for the gift of life and that asks for a blessing from God for the years ahead. After months of preparation, including a special dance practice, organizing a dinner for 300 people, sending out invitations, and decorating the Naknek High School Gym and Saint Theresa Parish, Rohelio, Veronica’s father, was ready to celebrate. Veronica seemed a bit overwhelmed at first, after all, she was born in Naknek, Alaska and had never really experienced the Mexican culture. But during the Mass, with all of her friends gathered around her and giving her encouragement, she started to relax and have a good time. Veronica's teenaged friends await her arrival at the entrance of Saint Theresa Parish. Here is Veronica, right on time! Four of veronica's classmates were chosen to do the readings and intercessions during the Catholic Mass. Here is the First Reader. Kiera volunteered to Altar serve during this history making celebration. Here she is shown holding the candle while the Gospel (the story of Mary and Martha, Luke 10: 38-44) was being proclaimed. Godparents (left) and Veronica's mother and father had front row tickets! On the other side of the church, Veronica and her friends looked on. The preparation of the altar. As part of the rite, Veronica gets sprinkled with Holy Water. Then she places flowers at the foot of the Virgin Mary. Veronica, after making an act of thanksgiving to God, gets the special Quinceanera blessing. We all clapped for Veronica after she received her blessing. Classmates from the Naknek High School pose with their friend Veronica. Veronica and Patrich Shryock took a picture together after Mass before heading to the High School for a dinner sponsored by the D&D. They participated in a special dance after dinner. Here is a picture of Veronica with her sponsor, mom, and dad. Since this was my first Quinceanera, I had to do some research. Here is some information that may be valuable to those celebrating a Quinceanera (readings, prayers, intercessions, preface, Mass). The word of the LORD came to me thus: Before I formed you in the womb I knew you, before you were born I dedicated you, a prophet to the nations I appointed you. "Ah, Lord GOD!" I said, "I know not how to speak; I am too young." But the LORD answered me, Say not, "I am too young." To whomever I send you, you shall go; whatever I command you, you shall speak. Have no fear before them, because I am with you to deliver you, says the LORD. Then the LORD extended his hand and touched my mouth, saying, See, I place my words in your mouth! This day I set you over nations and over kingdoms, To root up and to tear down, to destroy and to demolish, to build and to plant. For all of you who were baptized into Christ have clothed yourselves with Christ. There is neither Jew nor Greek, there is neither slave nor free person, there is not male and female; for you are all one in Christ Jesus. And if you belong to Christ, then you are Abraham's descendant, heirs according to the promise. The word of the Lord. Beloved, let us love one another, because love is of God; everyone who loves is begotten by God and knows God. Whoever is without love does not know God, for God is love. In this way the love of God was revealed to us: God sent his only Son into the world so that we might have life through him. In this is love: not that we have loved God, but that he loved us and sent his Son as expiation for our sins. Beloved, if God so loved us, we also must love one another. But when the fullness of time had come, God sent his Son, born of a woman, born under the law, to ransom those under the law, so that we might receive adoption. As proof that you are children, God sent the spirit of his Son into our hearts, crying out, "Abba, Father!" So you are no longer a slave but a child, and if a child then also an heir, through God. As the Father loves me, so I also love you. Remain in my love. If you keep my commandments, you will remain in my love, just as I have kept my Father's commandments and remain in his love. "I have told you this so that my joy may be in you and your joy may be complete. This is my commandment: love one another as I love you. No one has greater love than this, to lay down one's life for one's friends. You are my friends if you do what I command you. I no longer call you slaves, because a slave does not know what his master is doing. I have called you friends, because I have told you everything I have heard from my Father. It was not you who chose me, but I who chose you and appointed you to go and bear fruit that will remain, so that whatever you ask the Father in my name he may give you. This I command you: love one another. In the sixth month, the angel Gabriel was sent from God to a town of Galilee called Nazareth, to a virgin betrothed to a man named Joseph, of the house of David, and the virgin's name was Mary. And coming to her, he said, "Hail, favored one! The Lord is with you." But she was greatly troubled at what was said and pondered what sort of greeting this might be. Then the angel said to her, "Do not be afraid, Mary, for you have found favor with God. Behold, you will conceive in your womb and bear a son, and you shall name him Jesus. He will be great and will be called Son of the Most High, 11 and the Lord God will give him the throne of David his father, and he will rule over the house of Jacob forever, and of his kingdom there will be no end." But Mary said to the angel, "How can this be, since I have no relations with a man?" And the angel said to her in reply, "The holy Spirit will come upon you, and the power of the Most High will overshadow you. Therefore the child to be born will be called holy, the Son of God. And behold, Elizabeth, your relative, has also conceived a son in her old age, and this is the sixth month for her who was called barren; for nothing will be impossible for God." Mary said, "Behold, I am the handmaid of the Lord. May it be done to me according to your word." Then the angel departed from her. 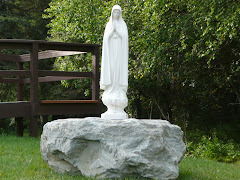 And Mary said: "My soul proclaims the greatness of the Lord; my spirit rejoices in God my savior. For he has looked upon his handmaid's lowliness; behold, from now on will all ages call me blessed. The Mighty One has done great things for me, and holy is his name. His mercy is from age to age to those who fear him. He has shown might with his arm, dispersed the arrogant of mind and heart. He has thrown down the rulers from their thrones but lifted up the lowly. The hungry he has filled with good things; the rich he has sent away empty. He has helped Israel his servant, remembering his mercy, according to his promise to our fathers, to Abraham and to his descendants forever." Then the kingdom of heaven will be like ten virgins who took their lamps and went out to meet the bridegroom. Five of them were foolish and five were wise. The foolish ones, when taking their lamps, brought no oil with them, but the wise brought flasks of oil with their lamps. Since the bridegroom was long delayed, they all became drowsy and fell asleep. At midnight, there was a cry, 'Behold, the bridegroom! Come out to meet him!' Then all those virgins got up and trimmed their lamps. The foolish ones said to the wise, 'Give us some of your oil, for our lamps are going out.' But the wise ones replied, 'No, for there may not be enough for us and you. Go instead to the merchants and buy some for yourselves.' While they went off to buy it, the bridegroom came and those who were ready went into the wedding feast with him. Then the door was locked. Afterwards the other virgins came and said, 'Lord, Lord, open the door for us!' But he said in reply, 'Amen, I say to you, I do not know you.' Therefore, stay awake, 5 for you know neither the day nor the hour. We pray for the Holy Father, Pope Benedict, our Archbishop Roger, for all priests and religious men and women, and for all those who have dedicated their life to the service of God’s people: We Pray to the Lord. For the leaders of the world that they may perform their duties with justice and compassion for the good of all: We Pray to the Lord. For (N) who is celebrating her 15th birthday, that she may continue with happiness and generosity in the way of the Lord: We Pray to the Lord. For parents, grandparents, and godparents of (N), that they may be good Christian examples: We Pray to the Lord. For the sick and the poor in our community, that they may experience the love God has for them through our care and help: We Pray to the Lord. For those how have died, that they may enjoy the vision of God in heaven: We Pray to the Lord. Thank you to all who attended and helped out with this memorable event. It was an event that will long be remembered by the Catholic Church in Bristol Bay! Our Mechanic this year did not call me Pope Benedict, but Benedict Arnold. Larry Tibbetts of Tibbett’s Airmotive has been my mechanic for the last five years. He wanted to attend the baptism of his grandson in California this year. He could not give our Cherokee Warrior II its annual inspection until the end of May. The inspection expired the end of April, which means I would be grounded for the entire month of May. The insurance will not allow us to fly if the annual inspection has expired. I decided to go with another mechanic, hence, Larry is now calling me Benedict Arnold. I chose Tom Bishop of Nugget Aviation in Palmer. Tom has repaired the Archdiocese airplanes for years. I was not disappointed. Although I consider Larry the best mechanic in the Bristol Bay area, bar none, I have heard good reports about Tom Bishop. I flew our Cherokee from Dillingham to Palmer (330 Miles) Monday, April 23rd. Tom was at the hanger, doors open, waiting for me to taxi in. He completed the inspection and repairs by Thursday. The total cost was $3,000. Several generous donors contributed to the cost of the annual inspection including Tom Bishop, Catholic Extension, and the “One Bread One Body” Archdiocesan of Anchorage annual appeal. Flying 330 miles over treacherous mountain passes and over miles of lakes and tundra during Springtime is challenging. The weather was terrible through Lake Clark Pass. IFR conditions, snow, and rain were reported all along the route. so I decided to fly Penair back to Dillingham. After ministering to the people of Bristol Bay over the weekend, Monday, May 3rd, 2010 I decided to fly back to Palmer and retrieve our Cherokee. I chose a perfect day. 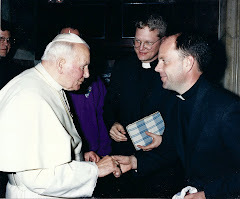 I hopped on the Penair Saab at 10:15 AM, arrived in Anchorage at 11:30, and had a fellow priest, Father Nelson Marilag, pick me up and drive me to Palmer. Tom Bishop, being one of those rare breads (both pilot and mechanic) jumped into the Warrior II and we flew out to the glacier and back. He wanted to be sure everything was in perfect mechanical condition before I flew back to Dillingham. Here are a few pictures I took in Lake Clark Pass on the way back from Palmer. Just before entering "The Narrows," Westbound, there was a beautiful lake at the beginning of the East end of Lake Clark Pass. On my flight over from Dillingham the week before (Eastbound), this part of the pass called "The Narrows." was completely plugged up with fog and clouds. I was able to climb to 6,000 feet, see Cook Inlet, and fly over the top. This picture is taken while flying Westbound. I am just entering the east end of Lake Clark Pass. The pass is about 50 miles long. Further up Lake Clark Pass I took another picture. Westbound, Less than 20 miles from Lake Clark, I climbed to 4,000 feet and was just touching the scattered layer of clouds. It took me 3 hours and 15 minutes to fly the 330 miles from Palmer back to Dillingham.